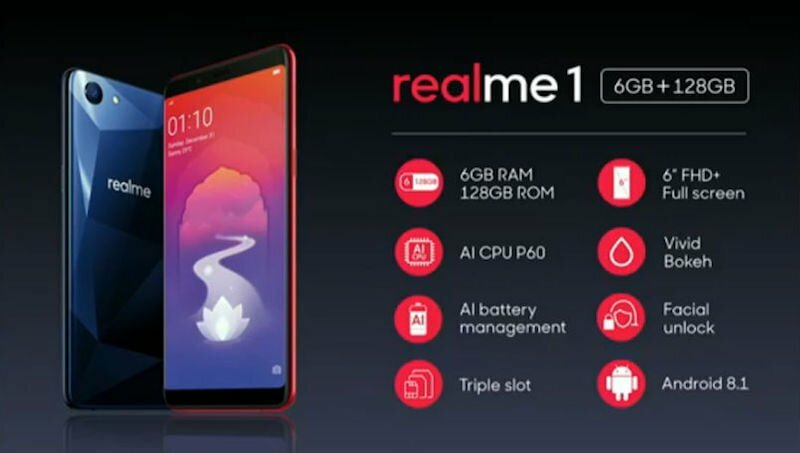 The renowned Chinese manufacturer Oppo announced its first sub-brand in the country with the name of Realme. This new brand is probably going to compete against the budget offerings from Xiaomi and Asus. 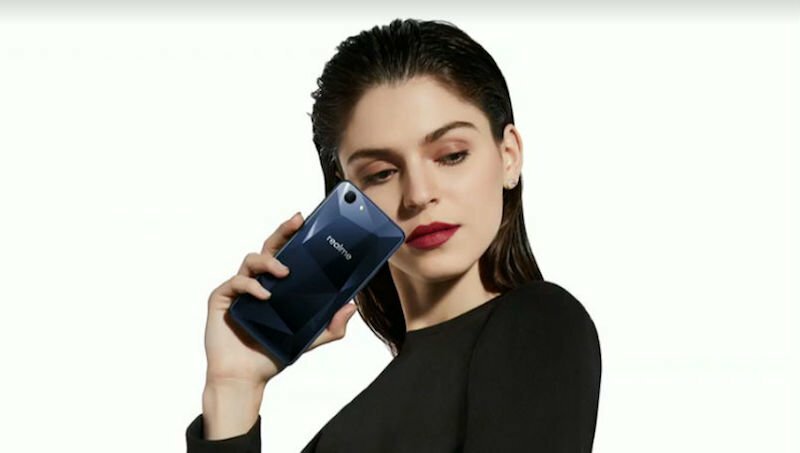 With the release of the brand, the company also announced its first phone – the Realme 1. When Oppo announced that it would be selling the Realme 1 at a starting price of just Rs 8,990, everyone was taken by surprise. The premium variant of the smartphone with 6GB RAM and 128GB of internal storage goes for just Rs 13,990. But how does it compete with the competition? Below we have detailed the top 5 features of this new debut. 1. With the diamond cut design on the back, the smartphone is really able to stand apart from the crowd. Even though the phone is constructed out of plastic, the diamond cut back is something very unique and unheard of in this price range. 2. The second most interesting feature of the phone is the presence of the Helio P60 SoC which will come with an AI co-processor to help AI based features. The Realme 1 is possibly the most powerful smartphone in its price range. 3. The third best feature on the Realme 1 is the presence of a dedicated microSD card slot. Unlike some phones like the Xiaomi Redmi Note 5 Pro, the Realme 1 is going to provide a dedicated slot for expanding memory as well as a second SIM. 4. The next best thing about the Realme 1 is the presence of dual 4G standby. Especially in 2018, where most people are only using 4G this almost becomes a necessity. The Realme 1 is going to allow users to activate VoLTE on the both the SIMs simultaneously. 5. Lastly, the Realme 1 is also going to pack a lightning fast face unlock system. Since Oppo is the sister company of OnePlus, the brand has likely used the same technology to bring on-board a face detection technology which is able to unlock the phone in just 0.1 seconds. The Realme 1 sports the latest MediaTek Helio P60 processor which also comes with an AI coprocessor to help AI based apps operate with efficiency on the phone. There is also the Mali-G73 MP3 GPU for graphics. The phone comes in three different RAM and storage variants- 3GB RAM and 32GB storage, 4GB RAM and 64GB storage, 6GB RAM and 128GB storage. In the imaging department, the phone ships with a 13MP shooter in the back and an 8MP sensor in the front for selfies. On the software front, the device runs on Color OS being an Oppo device. The custom UI is based on top of Android 8.1 Oreo. The Realme 1 is going to come in three variants which are 3GB RAM + 32GB with a price tag of Rs 8,990, 4GB RAM + 64GB version which comes at the price of Rs 10,990 and lastly the 6GB + 128GB version which will bear a price tag of Rs 13,990. Speaking of offers, users will be eligible for a 5% discount on the device if they buy the phone using SBI cards. There are also benefits worth Rs 4,850 for Jio users along with a no-cost EMI option which includes a case and a screen protector. Also, the buyers will be eligible for 80% off on kindle subscription if they buy the device. The device can be picked up from Amazon India starting May 25. Chinese Crap with no Update guarantee. Buy Nokia instead. Nokia ruins its chances with exorbitant premiums ! It just doesn’t feel like Android..
What about Vivo OS? What about EMUI? What about MIUI? What about ZENUI? MiUI is better than most other custom roms. Heck I prefer MiUI over stock Android too. Funtouch OS (VIVO) is actually good. ColorOS has many bugs and it’s frankly not for power user. ZenUI AND EMUI are OK. I don’t like MIUI that much. Fun touch is far better than rest of all!!!!! Vivo V9 gives great battery life so far!!!!! And I prefer Samsung Experience and LG UI above all tbh.